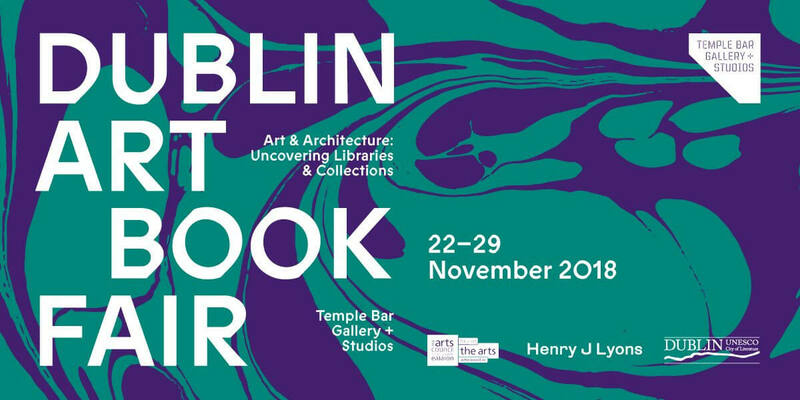 Temple Bar Gallery + Studios presents Dublin Art Book Fair, Ireland's only art book fair. The theme, Art and Architecture, this year, sees a special focus on Uncovering Libraries and Collections, highlighting the importance of libraries in our lives. Dublin Art Book Fair will feature a curated selection of hundreds of books from Irish and international independent publishers as well as artists' and architects' books and those about visual art, architecture, visual culture and theory, poetry and select fiction. Alongside Dublin Art Book Fair is an expansive programme of free events, curated by Dr. Ellen Rowley, taking place at Temple Bar Gallery + Studios as well as throughout the city. These events will transport you to the supposed origin of the library and guide you into some of Dublin's leading libraries and little-known collections. The schedule of events includes site-specific performances, workshops, walking tours, readings, children's activities, panel discussions and illustrated lectures. Visual artist, Isadora Epstein has created a new commissioned performance, The Return to Hy-Brasail in the library of the Royal Irish Academy (RIA) in response to the RIA's manuscript collection.